South and North Korea will form a joint judo team for a mixed team event at the upcoming World Judo Championships, Seoul's judo governing body said Friday. 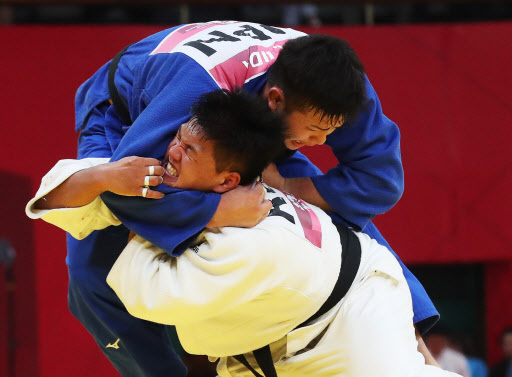 Three male and four female judokas from North Korea will join South Korean judokas for the mixed team event at the 2018 World Judo Championships, which will be held later this month in Azerbaijan, according to the Korea Judo Association (KJA). The mixed team event will be held on Sept. 27, the last day of the world championships, according to the KJA. Details about the unified team will be decided after Seoul and Pyongyang send their delegations to Azerbaijan, the KJA said. The unified team from the Koreas will use the unification flag that depicts the Korean Peninsula, the KJA said.